So The Baron is not a fan of fish. 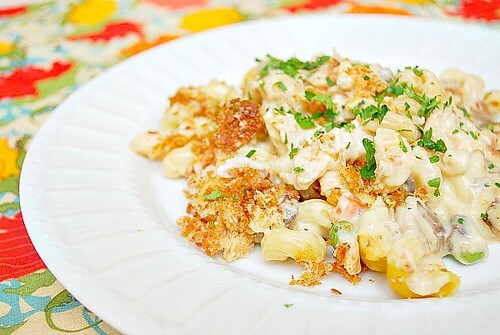 That pretty much crosses out comfort food like tuna noodle casserole... or does it? As I was looking for dinner recipes, I came across this one from Paula Deen using chicken in place of tuna. It turned out wonderfully with gluten free pasta (of course regular pasta works fine too) and I added some mixed vegetables and mushrooms for more texture, color and flavor. This is a great dish to make in advance and freeze too. 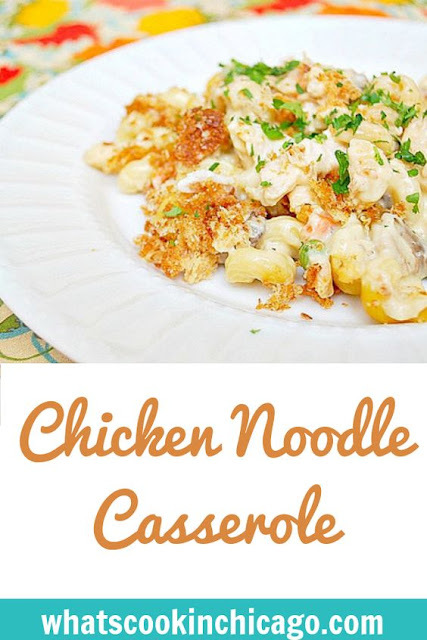 I suggest making extra... leftovers are delicious of this dish! Preheat oven to 350 degrees. Grease 9 x13 inch baking dish. In a large skillet, melt the butter over medium heat. Add the onion, sauté until near translucent. Add garlic and mushrooms, cook until softened. Stir in the flour and cook until it's all absorbed. Slowly add the milk and let it come to a slight boil as it thickens. Add 2 cups of cheese, reserving 1 cup of cheese for the casserole topping. Once the cheese is melted into the sauce, add salt and pepper to taste. Stir in the chicken, sour cream and pasta into cheese mixture to coat. Bake the casserole uncovered for 30 minutes, or until cheese is melted and sauce is bubbling. Remove from oven and let cool slightly before serving. Garnish with fresh parsley. This look so comforting and creamy! !